Engineers in California have a new idea for how to track enemy submarines. Their idea was inspired by lessons learned from research on artificial intelligence and harbor seals, as NPR science correspondent Joe Palca reports. JOE PALCA, BYLINE: Just about anything moving through the water creates a flow pattern called a vortex. Ask Eva Kanso what a vortex is, and you get a pretty simple answer. EVA KANSO: It's a fluid that's moving around. That's what I mean by a vortex. PALCA: Kanso is a professor of aerospace and mechanical engineering at the University of Southern California. So let's say you see a vortex swirling in a murky pool of water. KANSO: How would you know what is it that created this vortex? PALCA: That's an academic question for Kanso, and she's spent some time working on the problem. But she says it's a very real, very practical question for a harbor seal. KANSO: The animal wants to understand. Is it a prey that's created this vortex, or is it the predator that created this flow pattern? 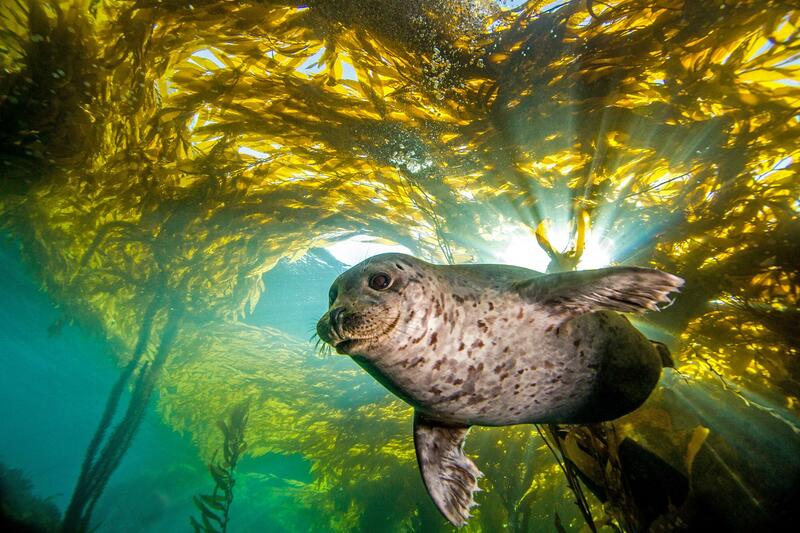 PALCA: Turns out seals can figure that out. They can even track a tasty fish by the vortex it generates. A seal doesn't use its eyes to see the vortex. Instead, there's evidence it uses its whiskers as sensors that can measure the shape and intensity of the vortex. Now, Kanso is an engineer, not a marine biologist, but she figured there were lessons to be learned from the seals. KANSO: Going from local measurement, from what you can measure where you are with your senses, to extract information globally about the whole flow field - that's the question that's interesting to us. PALCA: In other words, she and her colleagues wanted to know how much they could deduce about what's moving around in a broad swath of water just from the flow patterns. Her approach was to use artificial intelligence. Just like a computer can be trained to recognize an apple from a collection of pixels in an image, she and her colleagues have trained a computer to recognize various objects based on the flow patterns they make in the water. For now the computer program isn't all that smart. It can only make sense of simple patterns. But she expects it will get better, and she sees a day when it could be useful for submarine hunters since submarines can leave distinctive flow patterns. KANSO: So they would be able to say, OK, I think there was a submarine that was passing through this location at this speed. PALCA: And maybe someday the computer could provide even more information. KANSO: OK, now that I sense this flow pattern and I can kind of guess who created it - and I can track that flow to its source. PALCA: Being able to track submarines this way is years off, but there's evidence someone believes it might be possible. The Navy helps pay for Eva Kanso's research. Joe Palca, NPR News. Transcript provided by NPR, Copyright NPR.